Note: Alternatively you can download the latest version of Vivaldi here. Tab Stacks: Feel like you have too many tabs open? Vivaldi solves that with tab stacks. Drop tabs on top of each other to create a stack. It’s the fastest way to reduce clutter and keep organized. And when you’re ready to switch between tabs, Vivaldi has a number of customizations for that too. Tab Stack Tiling: Have a big screen? Tile that tab stack and see multiple pages at the same time! With multiple tab stacks, it is like having multiple desktops! Sessions: Take browser management to the next level. Save your favorite set of tabs as a session for later retrieval. Notes: The perfect tool for researchers. Mark that quote and save it as a note. 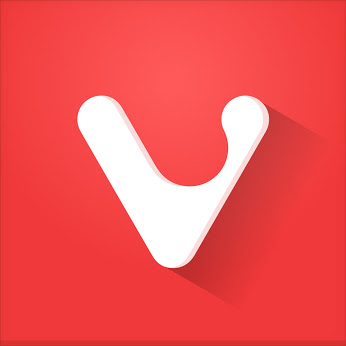 Vivaldi can remember which site you were browsing at the time, and allow you to take screenshots as well. Quick commands: Access open tabs, bookmarks, history, settings and more through a command interface. Mouse gestures and keyboard shortcuts: If you really want to operate the browser at lightning speed. Mouse gestures turn a flick of the wrist into almost any action in the browser. Keyboard shortcuts do the same with simple key combinations. Speed Dial: Your favorite sites and bookmarks easily accessible from any blank tab. Include Groups and Folders for even more Speed Dials! Better bookmarks: Access your bookmarks from the bookmarks panel, bookmarks manager, bookmark bar and of course Speed Dial. Web Panels: View websites in your Vivaldi sidebar. The perfect way to browse tweets, Facebook posts, or chat alongside your primary browsing window. We like to say it’s the next best thing to a “Boss button” for the web. Personalized: Vivaldi adapts to you, not the other way around. We made Vivaldi the most customizable browser, all based on feedback from millions of users. In fact, there are more than 1 million different ways to make Vivaldi your perfect browser. Plenty more features to discover to ensure you stay productive and effective on the web. Plus, Vivaldi supports Chrome add-ons, although hopefully you won’t need too many with so many features available out of the box.